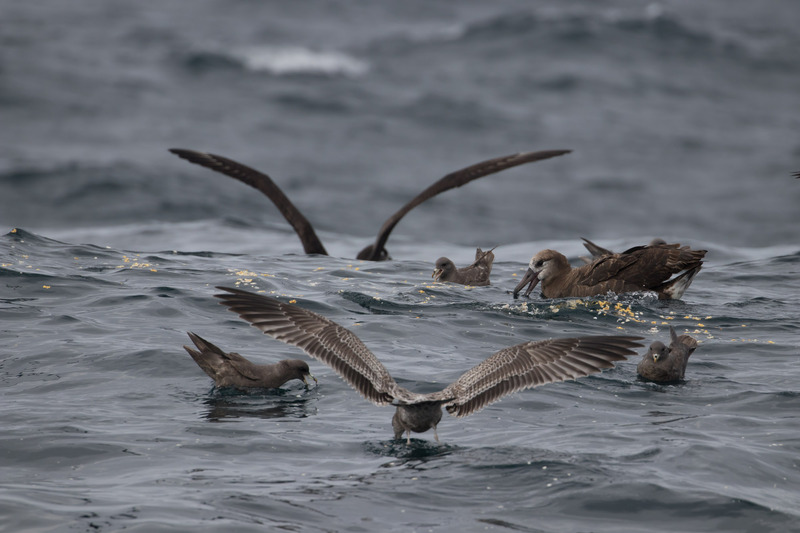 Scarier than Halloween is pelagic birding. Ever since my first traumatic experience I’ve wanted to try again. Crazy, I know but Albatross are that good. It had been too long since I’d seen them and I wanted a better boat experience. I remember saying “I’d do it again in a heartbeat” but those are the things you say when you’re safe on dry land. I needed timing, weather, and my nerves all to align. When I saw my friend Eric’s post asking if anyone wanted to join him this October for “10 hours of waves and lifers,” I was so scared because I knew I was going to go for it. I was better prepared this time. I obsessively checked the weather, bought new rain gear, cut out coffee and alcohol, ate bland food for a week, stocked up on saltines, and loaded up on medication. This time I remember my boots. And lucky for me at the last minute my friend Sarah joined for the trip (not the boat part) and she provided exceptional moral support. “Is it too late to back out?” “Yes, put your shoes on and go.” Damn. Sarah dropped us off early morning and we set off. The real test began once the boat passed the jetty. No turning back now. 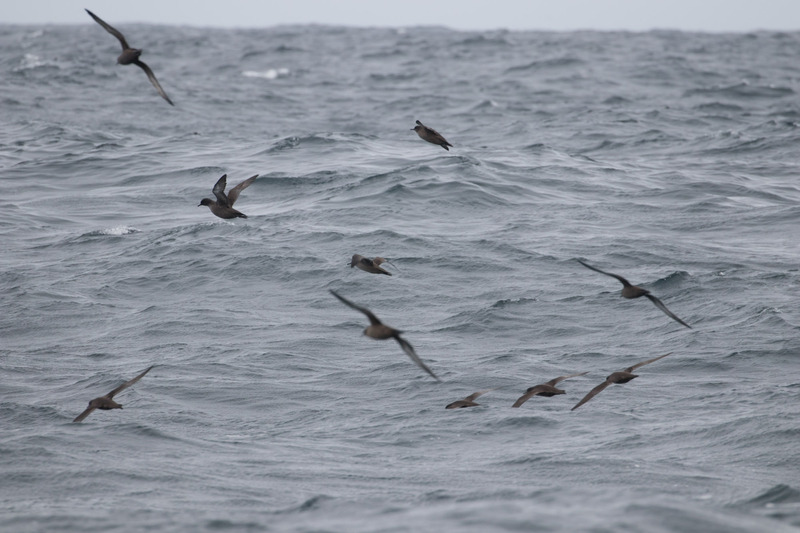 I nervously held my breath as we spotted the first Sooty Shearwaters. I gripped the seat as while we looked at tiny Marbled Murrelets. 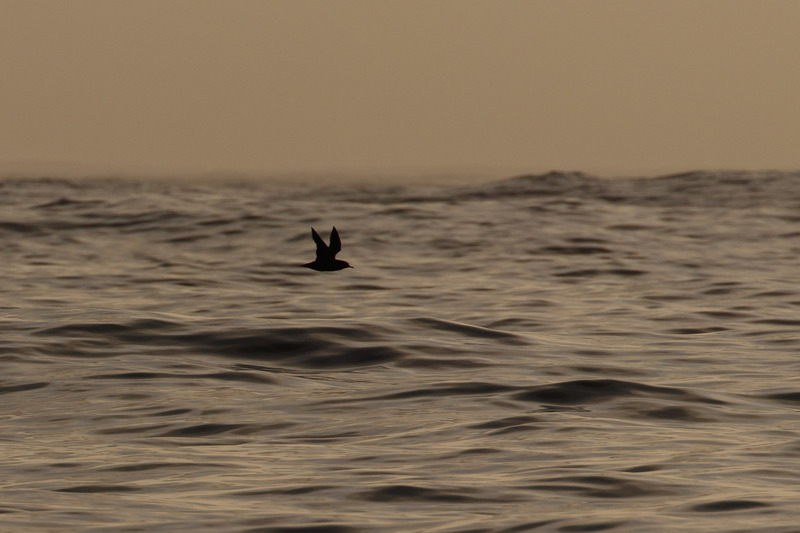 And Rhinocerous Auklets that I didn’t get great photos of. 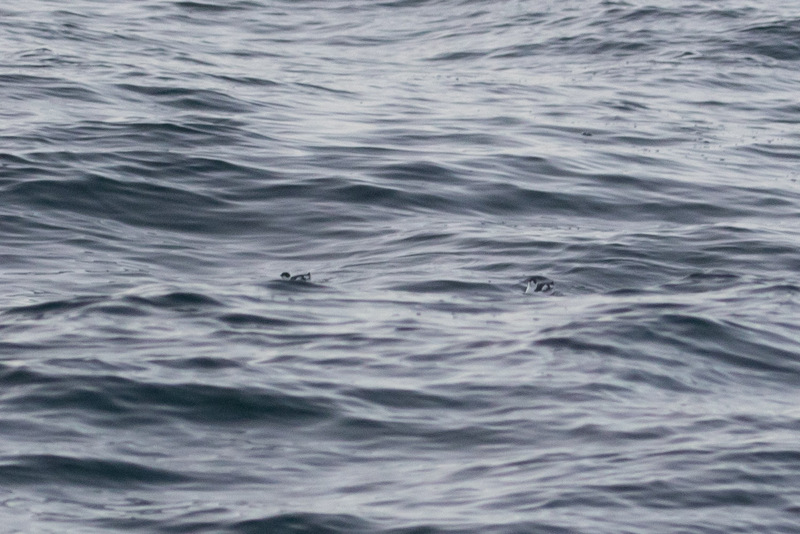 I sipped water and saltines as we saw Red-necked Phalarope, Common Murre, and our first Parasitic Jaeger. 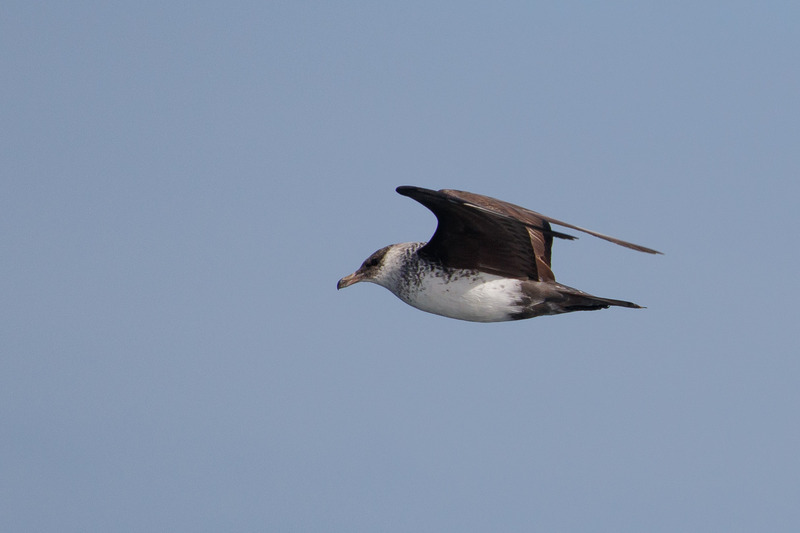 No photos of that one either sadly, but I did manage one of a Pomarine Jaeger at our first chum stop. 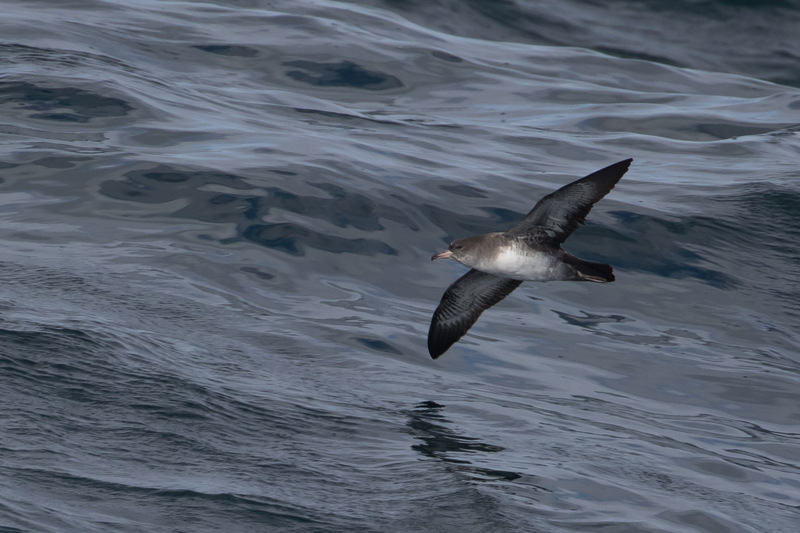 Here we also saw strikingly patterned Buller’s Shearwater. 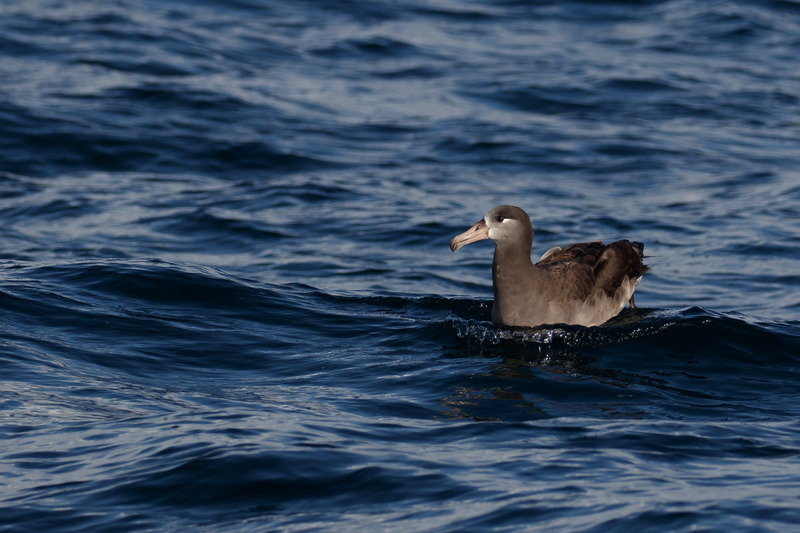 And as I glared at the dude eating veggi-chips next to me (food smells are tough), I managed to hold it together for Black-footed Albatross! Yeah buddy, these are amazing birds. They soared gracefully up, over, and around us. I loved watching them take off, running along the water’s surface. The sea swells were 8ft this time (vs. 11ft the first time), still choppy, and not great for keeping composure. See a short video here. 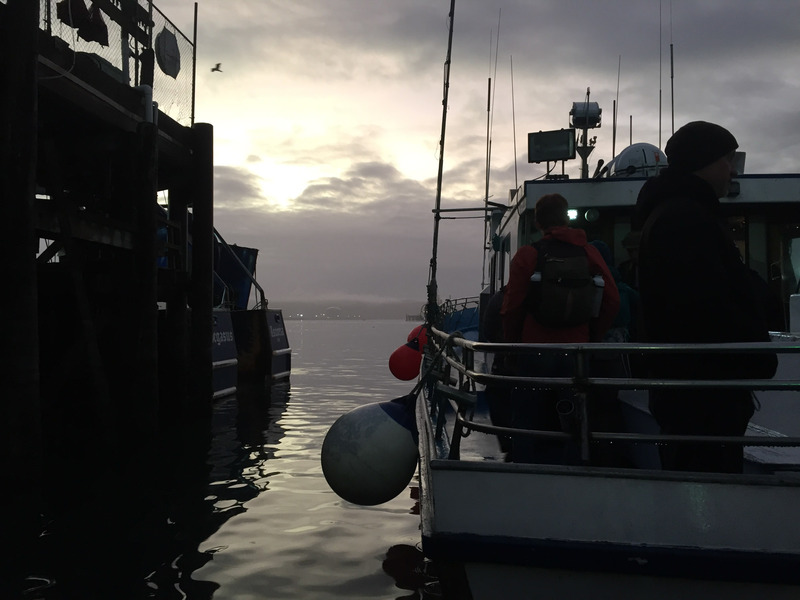 This was Eric’s first pelagic and he said he didn’t realize how hard it would be just to stand up. Let alone use binoculars, cameras, and look at birds. But we managed okay. 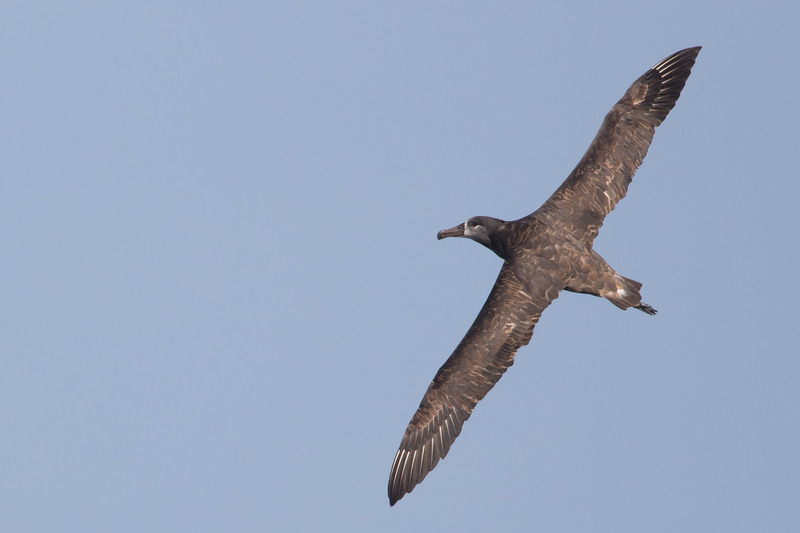 I appreciated the South Polar Skua coming in to score some food. I was even able to enjoy the whale sighting this time. 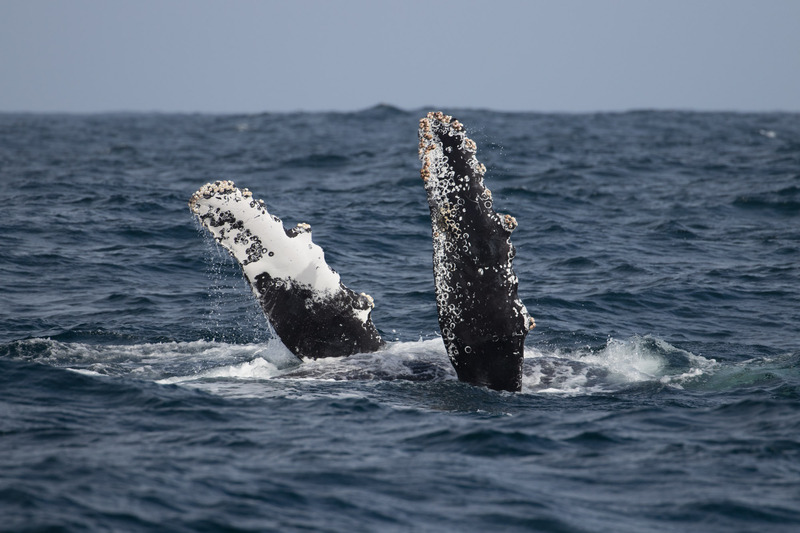 About 40 miles offshore we witnessed a humpback whale breaching over and over again and slapping its flippers on the water surface (pectoral fin slapping). This sort of stuff doesn’t happen in real life. It was breathtaking. 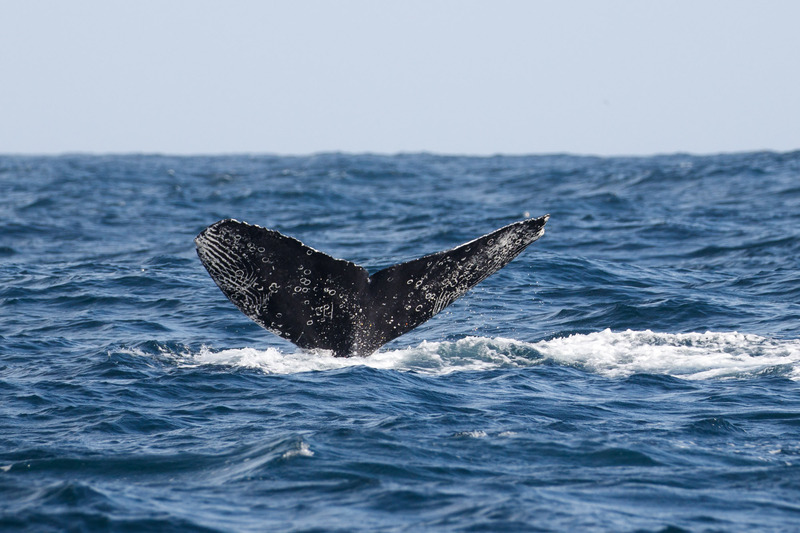 The guess on the boat was that this was a young whale making noise to locate its pod. Such a sweet whale. I second Jen’s recommendation to check out Sonic Sea on Vimeo (free with code SONICSEE) about how important sound is to these magnificent underwater creatures. Other interesting highlights were the American Pipit that almost made landfall on the boat, apparently exhausted along its migration. 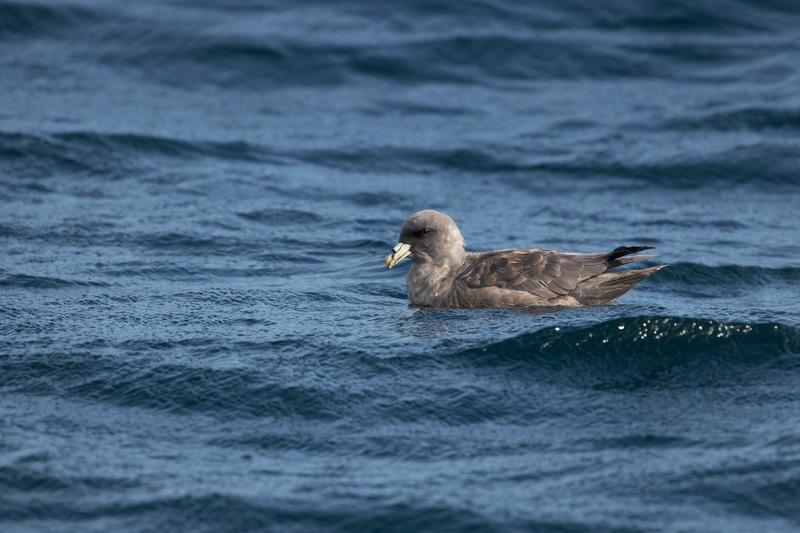 And one Northern Fulmar that actually did land on the boat, then proceeded to projectile vomit on the deck. That’s the bird’s effective defense mechanism. I wish I’d gotten a photo of the ordeal, but I was concentrating on keeping myself from getting sick. It almost worked. 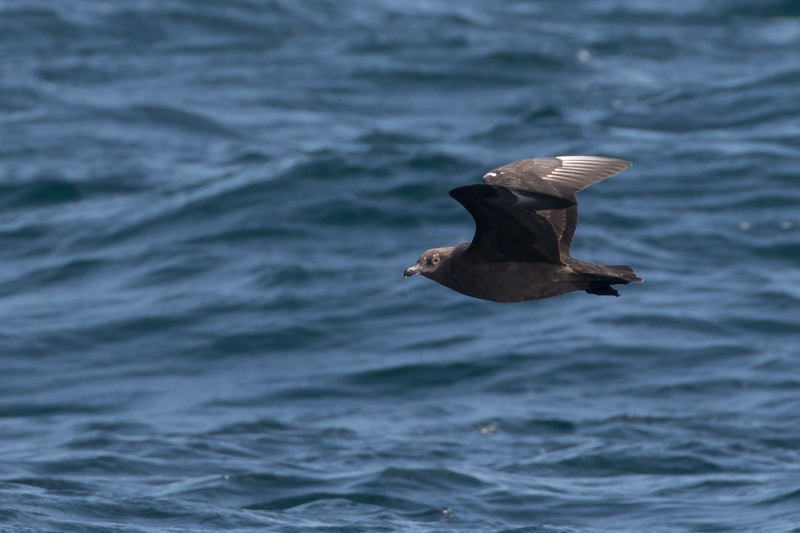 But at the last stop, while we watched for Short-tailed Shearwaters I finally succumbed to the sickness. Unlike last time though, I felt mostly better after and could still look at birds. 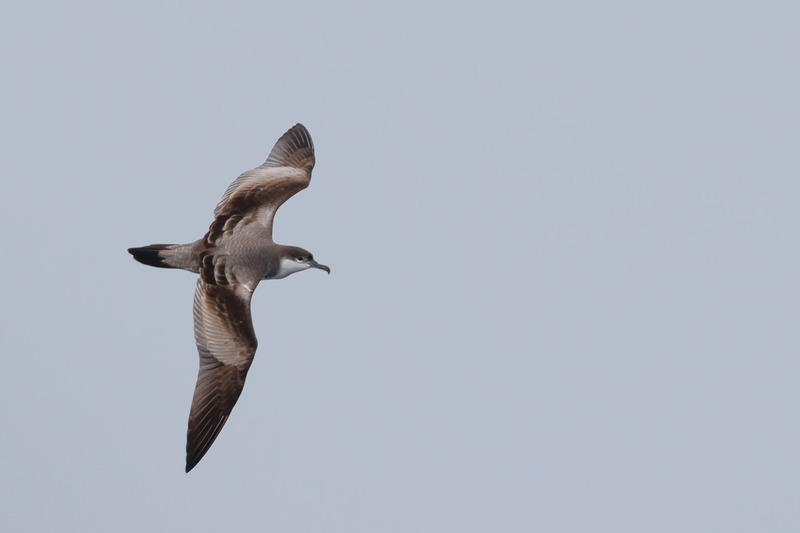 I picked up three lifers on the trip, Short-tailed Shearwater, Long-tailed Jaeger, and Leach’s Storm-Petrel. 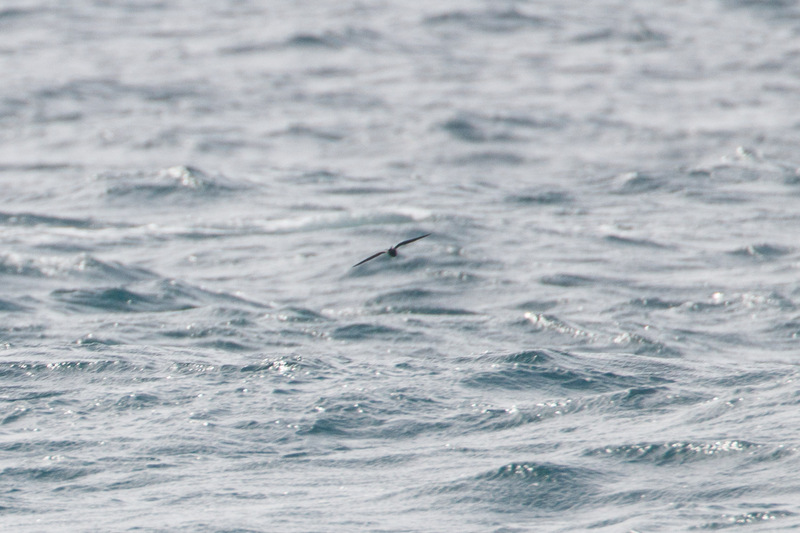 The petrels were tough to see, let alone photograph. On the return trip, unlike last time when I was freezing and pummeled by waves, this time it was smooth sailing. 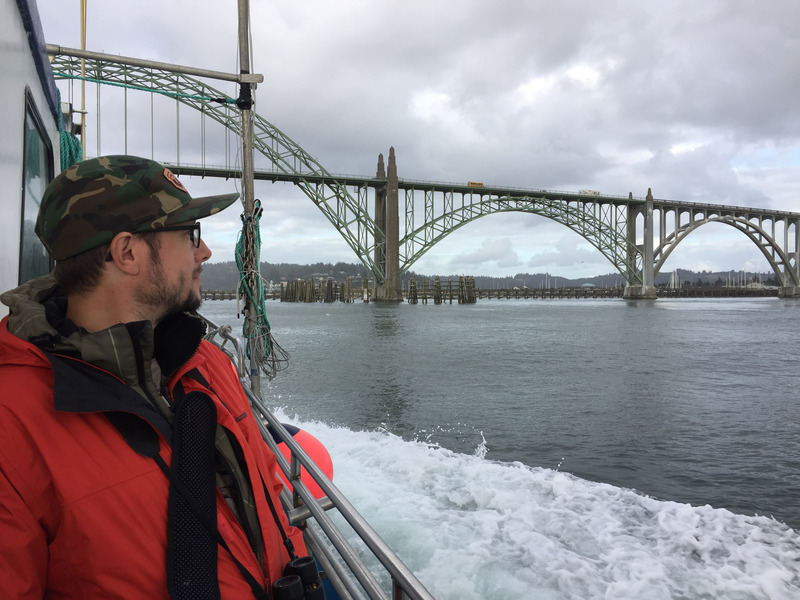 We’d avoided the roughest seas, saw albatross, a breaching whale, and I didn’t die? I call that a win. 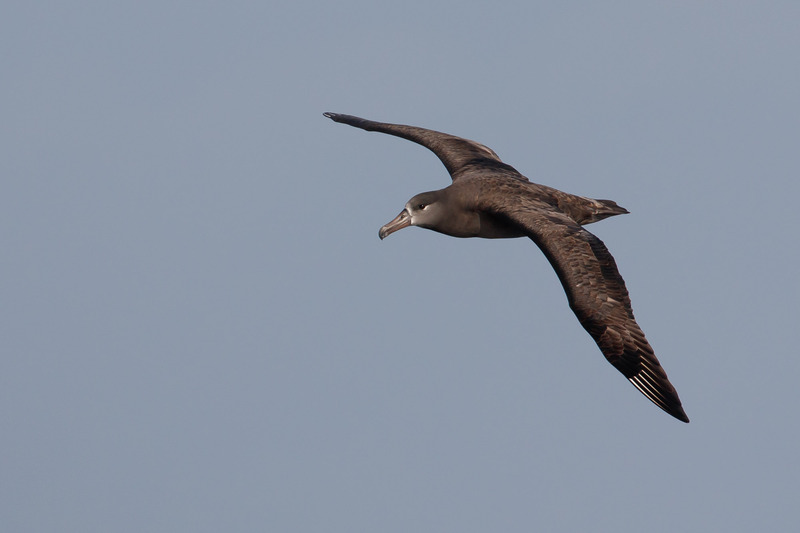 This was a much better pelagic than last time. 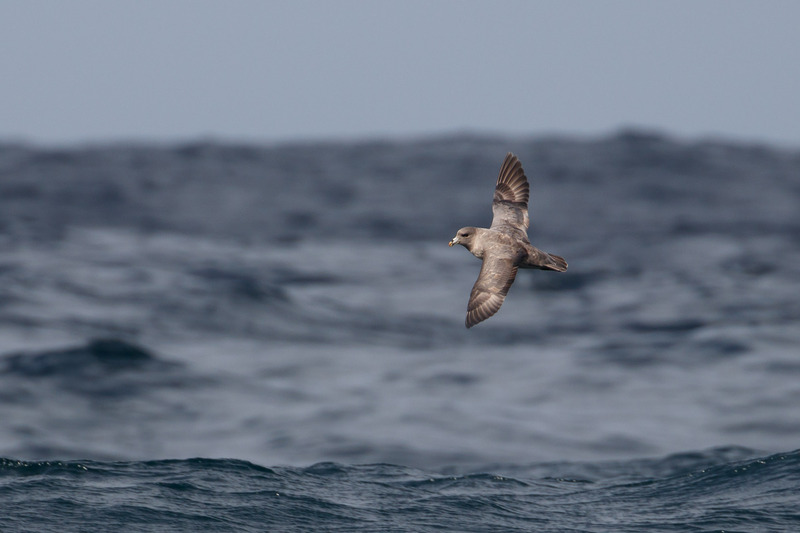 This entry was posted in Birding Trips and tagged American Pipit, Black-footed Albatross, Buller's Shearwater, Common Murre, Leach's Storm-Petrel, Long-tailed Jaeger, Marbled Murrelet, Northern Fulmar, Parasitic Jaeger, Pink-footed Shearwater, Pomarine Jaeger, Red-necked Phalarope, Rhinoceros Auklet, Short-tailed Shearwater, Sooty Shearwater, South Polar Skua by audge29. Bookmark the permalink. Thank you for this post! 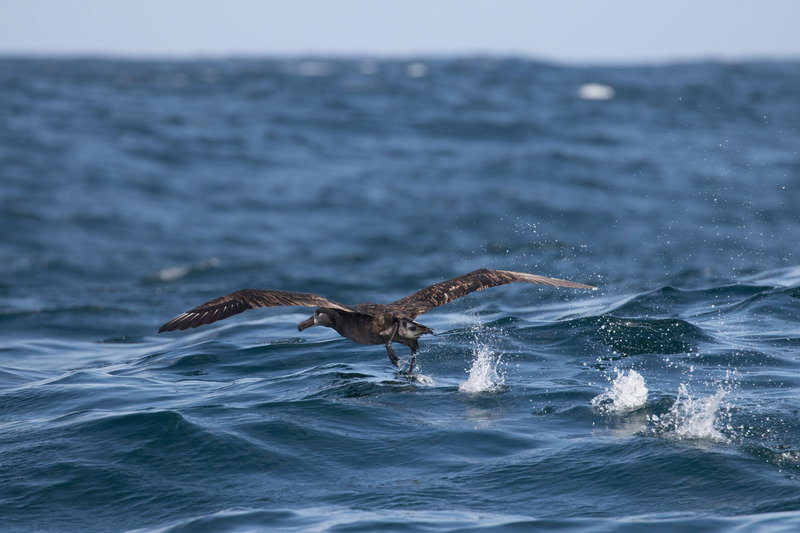 I’m hoping to do my first pelagic soon and am a bit worried… I’m glad you tried it again and had a better trip! 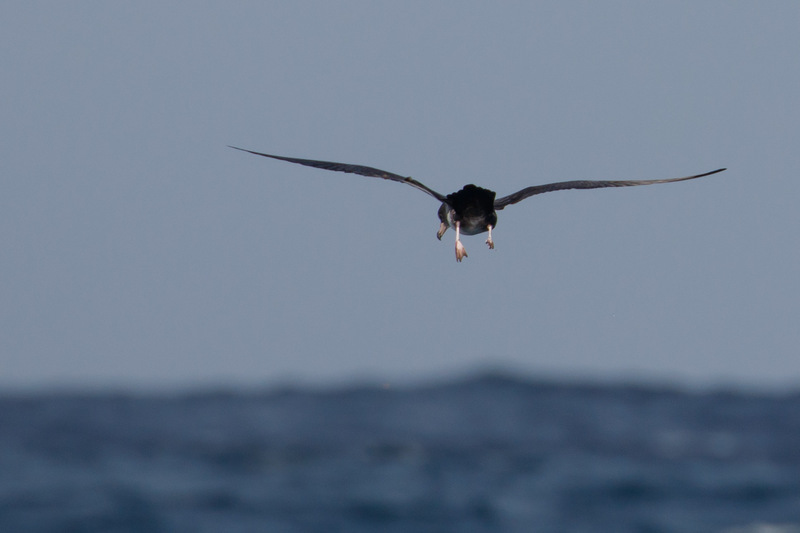 Awesome birds – and the whale! Yay!!!!!!! You did it! So many awesome photos too. 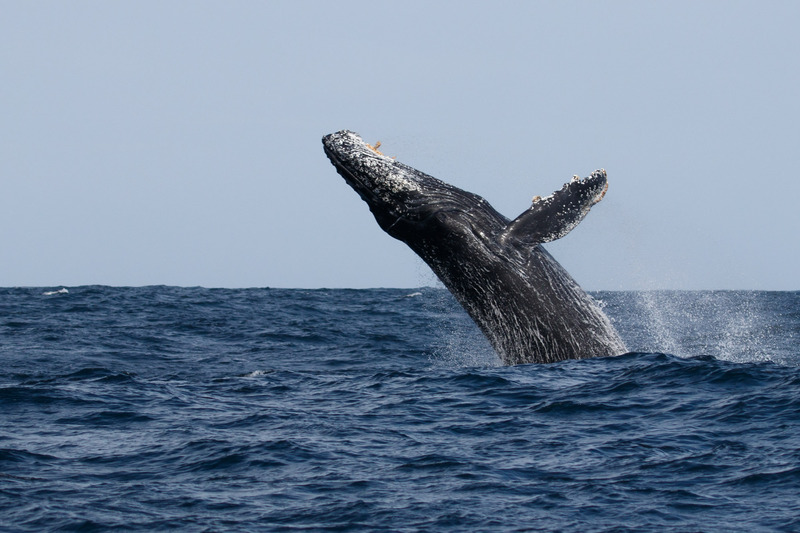 Oceanic wild friends! Still alive! And richer in birds and life experience points.